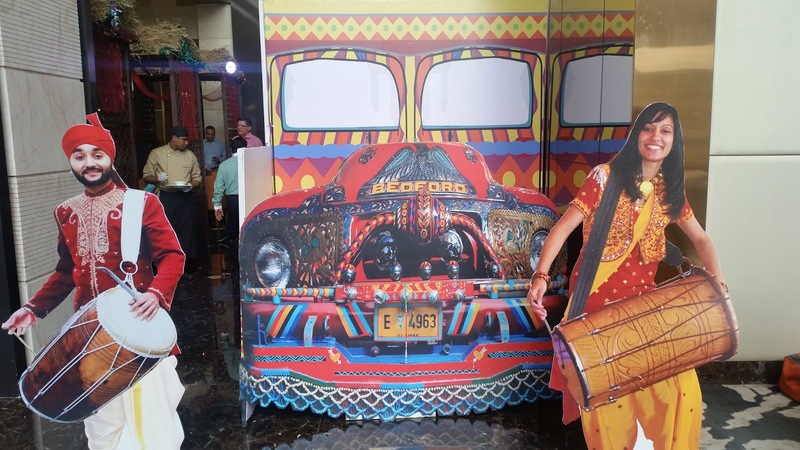 Against this backdrop, Feast, the all-day diner at Sheraton Hyderabad decides to bring the earthy flavours of Punjab straight from a dhaba in Amritsar. Chef Sodhi, owner of Sodhi da Dhaba in Amritsar is here to curate “Aromas of Punjab” a festival of authentic Punjabi food. The restaurant has been decked up for the occasion in true Punjabi style. 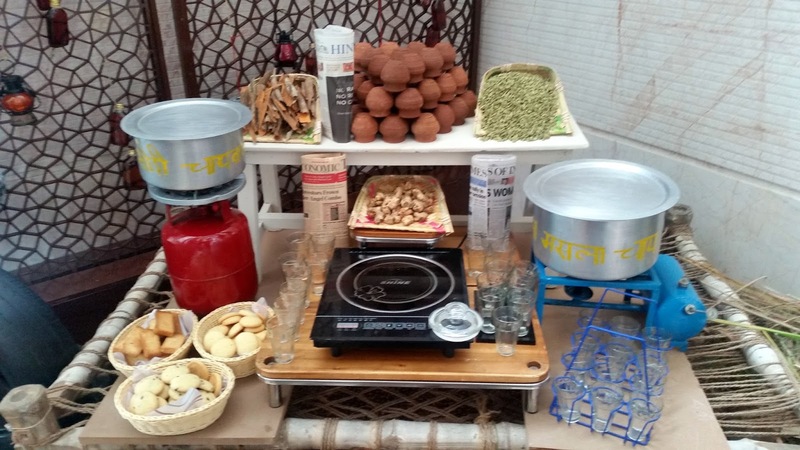 A live counter fashioned like a truck has been set up in the restaurant dishing out a range of Punjabi street food. There are other live counters as well serving some delicious lassi and garam chai. 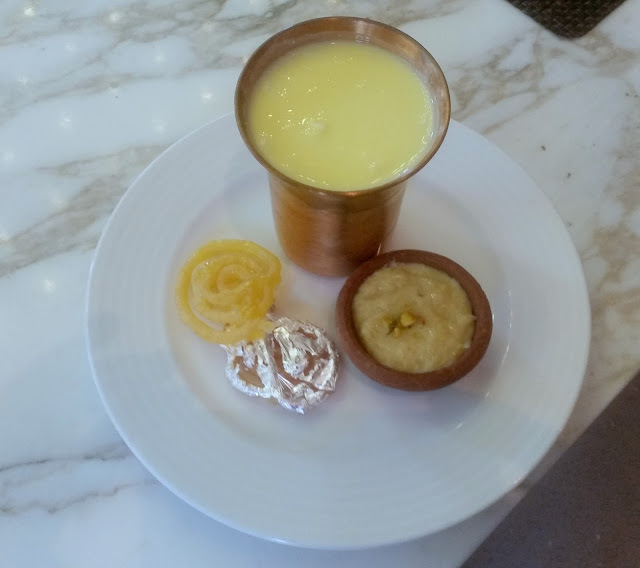 I was greeted with some cool Kesariya Lassi as soon as I arrived for a Bloggers Table. The thick saffron flavoured lassi was a great refresher after a long journey to the hotel. To go with the lassi, there were some soft Paneer Tikkas and Vegetable Pakodas freshly prepared at the live street food counter. We had a long chat with Chef Sodhi. Amritsar is the place which serves the best food in Punjab, and his dhaba is located just next to Jallianwalabagh. Their kitchen starts serving Chhole Kulche and Sarson da saag with Makki Di Roti from nine in the morning to late afternoon. 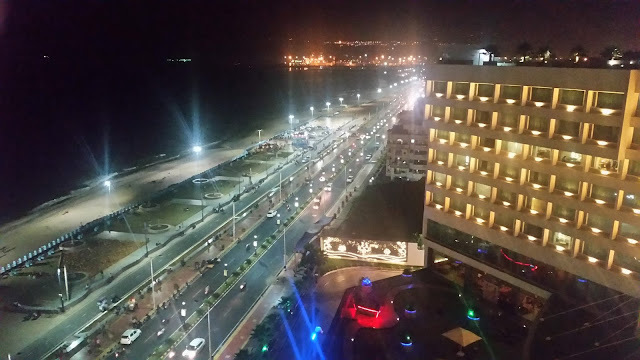 In the evening it is time for Bhatti Ka Murgh, Butter Chicken, and other delicacies. As per Chef Sodhi, the original Punjabi recipes are very simple and use much lesser masala than the Punjabi food we get in Delhi or anywhere else in the country. In this festival, he has presented all the dishes in their true form as they are prepared in the hinterlands of Punjab. One of the best dishes of the day was Bhatti Da Murgh, chicken prepared in an earthen kiln. 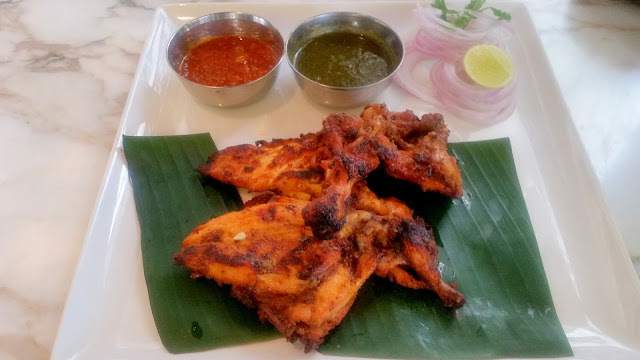 The chicken pieces marinated in curd and select ground spices were so juicy that I did not need the mint chutney to go with it. Machhi Amritsari, the signature starter from Punjab had large chunks of fried boneless fish in a predominantly ajwain based masala. After the starters, it was time to taste the well-known delicacies from Punjab. Kulche Chhole was the first such dish, the stuffed kulchas were delicious but the earthy chhole was really the star. 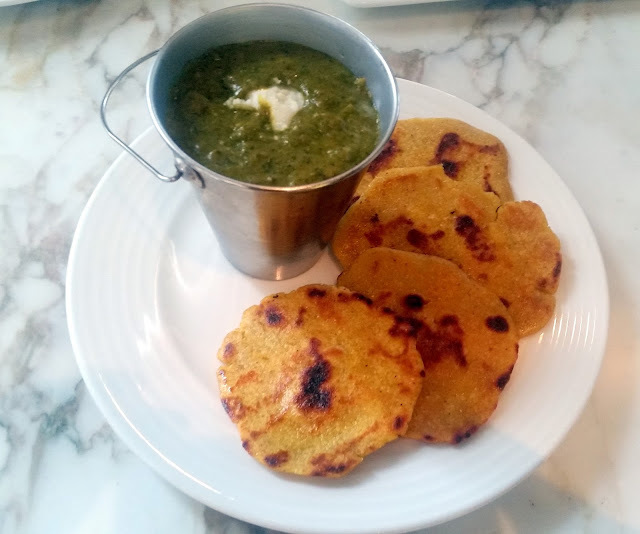 The Sarson da Saag was again a simple preparation paired with Makki di Roti. I tried the Keema Kulcha with a Pyaaz Chutney, the chutney became a constant companion for the rest of my lunch. 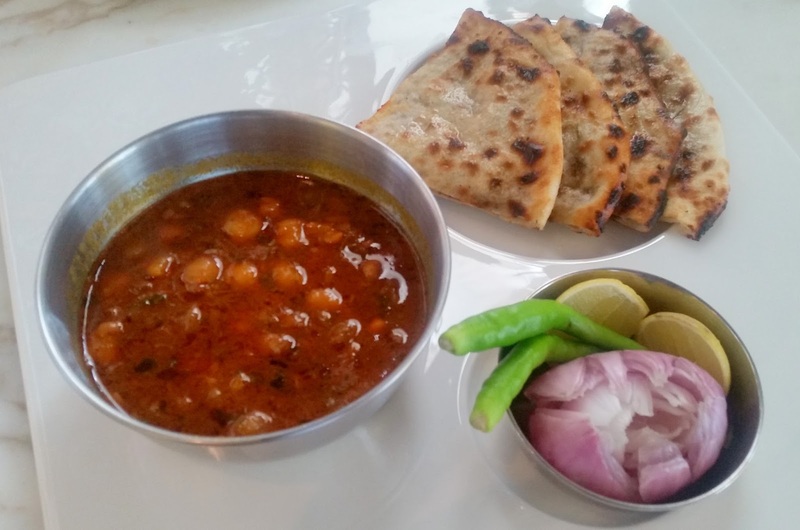 Punjabi cuisine boasts of many tawa cooked dishes. 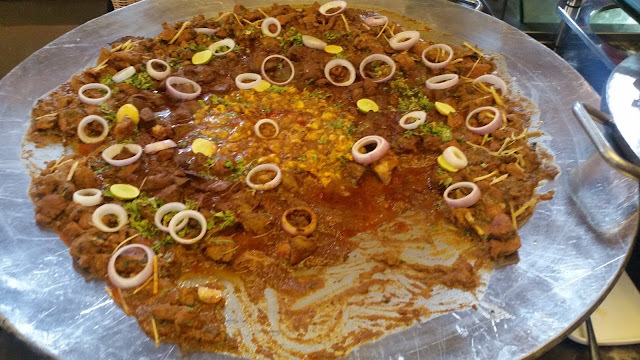 Chef Sodhi explained that offals or lamb organs are popular as tawa dishes, and the day’s menu had Magaz (bheja), Kaleji and Gurda. 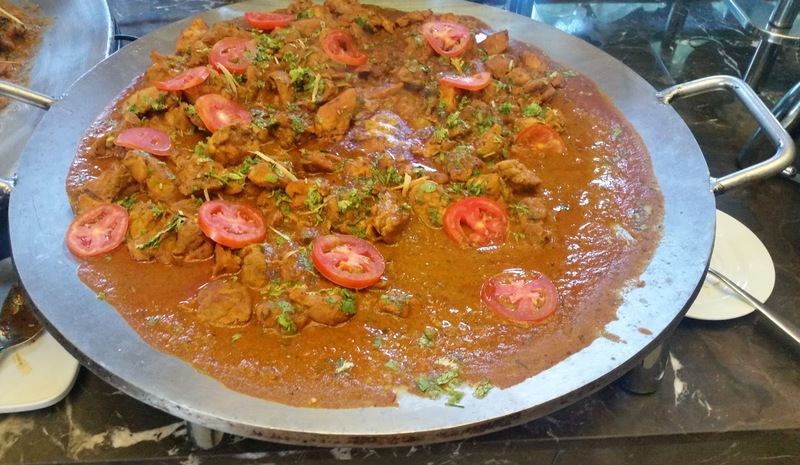 The tawa counter also served Chicken Tikka Masala garnished with tomatoes and Boti Masala. For vegetarian, there was Tawa Tarkari and Paneer Tikka Masala. I tried a little bit of each with naan, the brain masala was especially good, with a distinct flavour of ground black pepper. 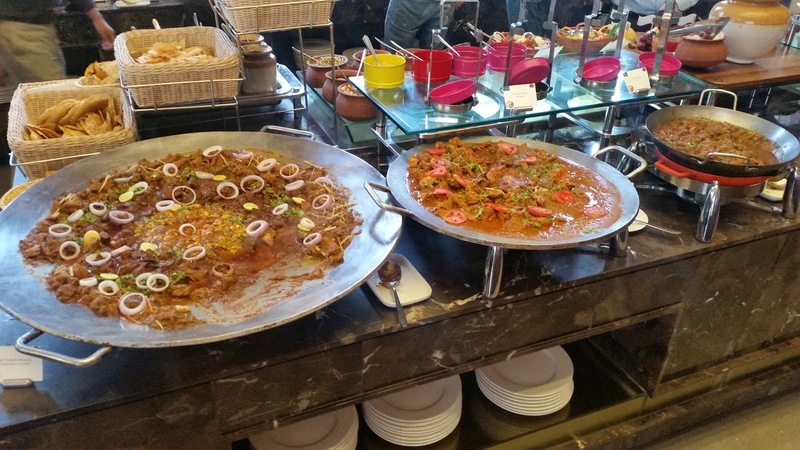 I could only try few non-vegetarian dishes from the main courses – Machhi Amritsari Masala and Rara Gosht were simply superb. 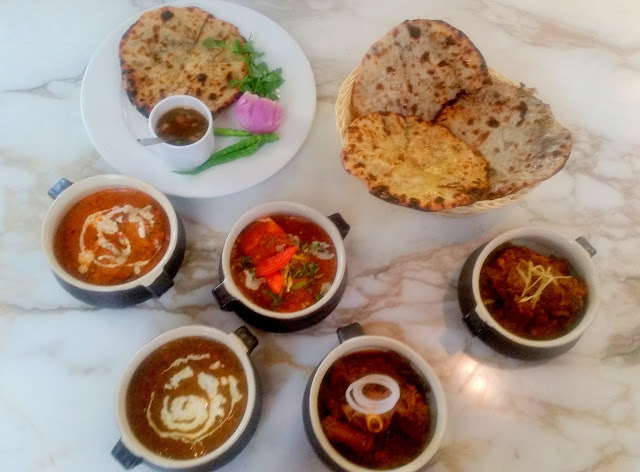 The traditional Murgh Makhani (Butter Chicken) had less of masala and more of butter, with the naan dunked in the gravy soaking in these flavours. As per Chef Sodhi, the taste of butter chicken is predominantly of the butter and spices should not overwhelm that taste. The desserts had some hot and crispy Jalebies and Moong Dal ke Halwa. 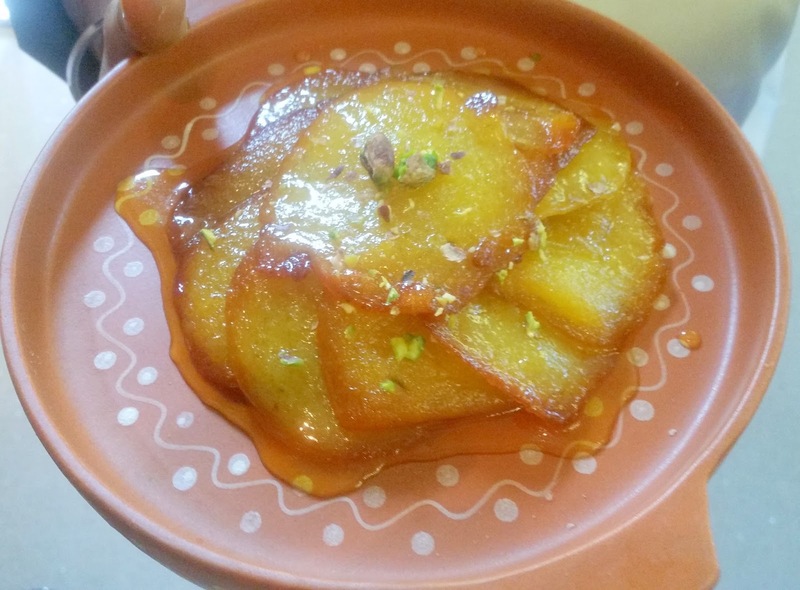 Malpua is one of my favorite desserts, though today it was a trifle too sweet. We ended a super meal with some garma garam chai. 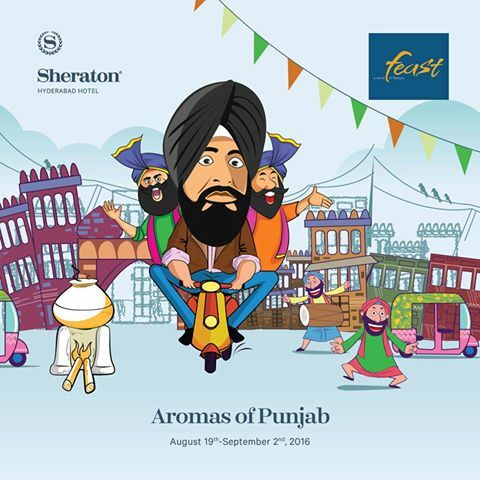 “Aromas of Punjab” is on till 2nd September as part of the lunch and dinner buffets at Feast. It is priced at Rs 1350 (plus taxes). For food lovers, it is an opportunity to try out the rustic preparations straight from the dhabas of Amritsar.